There are many students who are interested in making a career in the field of finance and accounting. While for accounting many courses are available there are very few undergraduate courses that are available in the field of finance. 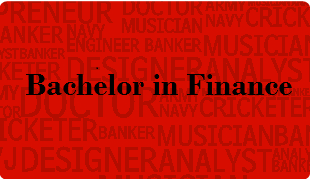 One such course is Bachelor in Financial and Investment Analysis (BFIA). University of Delhi offers this course called BFIA. This is a specialized program offered for students interested in pursuing a career in finance and related fields. This is a 3 year full time course offered after class 12th and knowledge of English and Mathematics is needed to successfully complete the course. There are 24 papers that are taught in 6 semesters and admission is taken through a joint entrance exam held by Delhi University. The per semester fee is Rs 6000 per semester and the students have to pay Rs 17,000 at the time of admission. The admissions to the BFIA course are taken through a joint entrance exam conducted by Delhi University. Want to know how well this course matches with your aptitudes and personality, take MapMyTalent assessment.